Fire swept through the old central souk, or marketplace, of Aleppo, Syria, on Saturday, damaging a vast and well-preserved labyrinth of medieval storehouses, shops, schools and ornate courtyards as fierce clashes between security forces and insurgents vowing to carry out a “decisive battle” for the city continued. She said she supported peaceful resistance against Mr. Assad, and pronounced herself “annoyed, annoyed, annoyed” with fighters from the rebel Tawhid Brigade, which announced the offensive on Thursday. The fighters said they were seeking to “liberate” neighborhoods that had remained largely pro-government and were being used as posts from which to attack the opposition. Brig. Bashir al-Hajji, the commander of the Tawhid Brigade, said that the offensive had worked and that rebels were progressing toward the heart of Aleppo. Rebels and activists said the government had started the blaze by firing incendiary bullets. 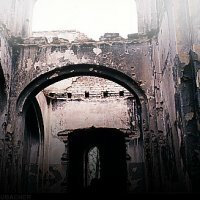 An antigovernment activist from Aleppo who studied historical sites while earning a bachelor’s degree in tourism said the rebels were repeating a mistake they had made in the province of Hama: They hid in the Madiq citadel, an ancient but still-inhabited hilltop fortress there, and government shelling severely damaged it. “The rebels are not appreciating the value of the places they are liberating,” said the activist, who gave his name as Abu Mihyo. He said it appeared the rebels were trying to penetrate the city center through the old city, following a hadith (a saying attributed to the Prophet Muhammad) that destroying the Kaaba, Islam’s holiest site, is better than shedding a drop of Muslim blood. “I agree,” he said, but added that the government would destroy anything to beat the rebels, and “we should keep our heritage.” The minaret of the 700-year-old Mahmandar Mosque in Aleppo’s old city had already been damaged by shelling in recent months, he said. Unesco has said that four World Heritage sites have been damaged in Syria: the old city of Damascus, the ruins of Palmyra, the Crac des Chevaliers crusader castle, and the “forgotten villages” in the north. An estimated 30,000 people have been killed. Aleppo’s old souk, much of it dating to the 17th century, is not only an important tourist destination but also a vibrant center of commerce and community, housing vendors of pastries, spices, antiques and crafts. In the sprawling old city, “madrasas, palaces, caravanserais and hammams all form part of the city’s cohesive, unique urban fabric,” the Unesco citation reads. It was unclear how the fire began, but it came after the most intense fighting across the city in weeks. The government said rebels had attacked on a number of fronts in the city on Friday and had been pushed back with heavy casualties. Activists said that antigovernment fighters had tried to put out the fire, but that it was difficult because of government snipers in the area, who activists have said set up positions in the city’s 13th-century citadel, which overlooks the souk. The souk’s wooden doors and stores of fabric and other flammable materials would have spread the blaze quickly. The government news agency SANA did not immediately acknowledge the fire, but reported continuing clashes across Aleppo on Saturday, saying security forces “killed and wounded scores of terrorists,” its designation for its armed opponents. Dima, the doctor, who lives on the western side of Aleppo, said she believed that the fire had been started by incendiary bullets from government snipers. But she blamed the rebels for approaching the old city, which she said had no government target, and said they seemed more concerned with the number of areas they could seize than with their tactical importance. The claims by both sides could not immediately be verified because of government restrictions on reporting in Syria. Armed insurgents also tried to enter Homs Province from Lebanon but were repelled by the army, which killed several and drove the rest back into Lebanon, SANA said. In the southern province of Dara’a, where the uprising began, the Local Coordinating Committees, an activist network, said rebels had seized an air defense battalion on Saturday. Kaysar Habib, an antigovernment activist reached by Skype in Dara’a, said fighters from the Free Syrian Army, the main umbrella group for the armed opposition, stormed an air defense battery in the town of al-Ghariya. After heavy fighting, he said, they took control of the battery, from which civilians and rebels had been fired on.